As a child I wouldn't touch pumpkin. Probably because my mother hated it. Ah, but as I grew up, I put away the things of a child. Now pumpkin is one of favorite vegetables. It is so versatile, it can go from appetizers all the way to dessert. This is one of my favorite cakes. 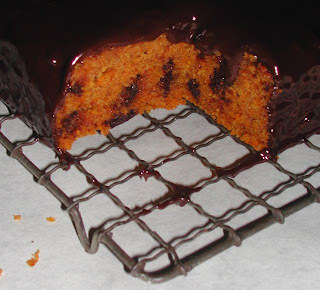 The pumpkin makes it moist and and the chunks of chocolate make it gooey. I use my favorite dark chocolate and chop it into irregular hunks. I like the chunks of chocolate but if you would like it a bit more refined, you can add chocolate chips. You can also use milk chocolate if you wish. Whisk together flour, spice, baking soda, baking powder and salt in a large bowl. Cream the butter and sugar together to fluffy yellow, about 3 minutes. Add the flour mixture into the batter about a cup at a time. Bake at 300 for 90 minutes. 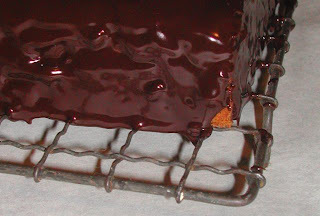 I like it plain, but you can add a ganache glaze to dress it up. And add even more chocolaty flavor. Add the chocolate and butter to a small bowl. Heat the heavy cream till it steam, but don't let it boil. Let it melt, then stir the mixture until smooth, bout 2 minutes. Let it sit for about 5 minutes, then pour over the cake. 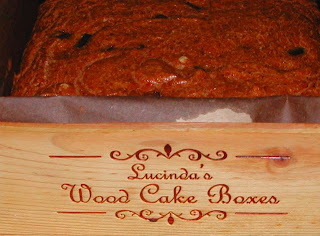 This cake travels really well, so bake one up and send it to someone you love.